Citadel Youth hostel welcomes you to your second home , we are located in the center of the old city between the Armanian and the Jewish quarter , we are housed in a 700 year old building full of character ,charm and history , our 24 hours front desk always welcomes our guests with a kind and warming smile , the hostel provides many free amenities including free WiFi around the hostel , free guest computer , kitchen facility,bathrooms and showers almost on every floor of the building , we have without a doubt one of the best rooftop views of the old city of Jerusalem ,you can enjoy sleeping up there in the summer months(April/Oct) DON'T FORGET your sleeping bag & of course we provide a mattress and a blanket or simply enjoy the sunset . The Citadel Youth Hostel is a 2 minute walking distance from Jaffa Gate and a 10 minute walk to the city center , we are within walking distance from public transportation , tourist information center ,western wall, holy sepulcher church ,Dome of the rock ,restaurants ,coffee shops and the vibrant night life in Jerusalem .Come and enjoy the most wonderful sunrise ever with the early chanting of the moazin and the church bells ringing, live the spirit of the old city and stay at the Citadel Youth Hostel your home away from home. Very friendly atmosphere, clean rooms and good sanitary facilities. Location in old town in comfortable walking distance to major sites. One of the best hostels I’ve ever stayed in. Such a cool vibe, and amazing staff. The building is amazing as well. Wonderful common room seating. Different!! Great place nice people. Awesome roof views. Excellent for short stay. Cheap but clean enough. Good location. Very cold rooms (although mulitiple duvets provided) only one working plug socket in the room, basic shared bathroom facilities. 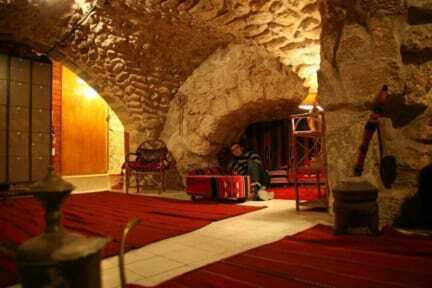 But good value for money, location right in the heart of the Old City close to Jaffa Gate which was a big perk. The pros: 1. Main reason to stay here is the location and the rooftop views. 2. Staff are friendly. 3. It's pretty cheap. The cons: 1. It's a bit grimy. 2. The bathrooms are a "shower over the toilet" situation and have no soap for handwashing 3. Wifi only works around reception on the ground floor. 4. Very few outlets in the rooms. 5. No locks on dorm room doors and no secure place for your belongings. Overall, it was fine for a night but I wouldn't come back. Atmosphere and location are nice. Bedding was dirty. We handed in our laundry but it wasn’t finished when they said and they didn’t separate the clothes. My white shirts turned blue. They gave me the money back but my clothes are ruined and we had to pack wet clothes. No cleaning. No heating system. Shower and WC in the same room. One plug for 3 persons room. Dirty blankets. No nice personnel.